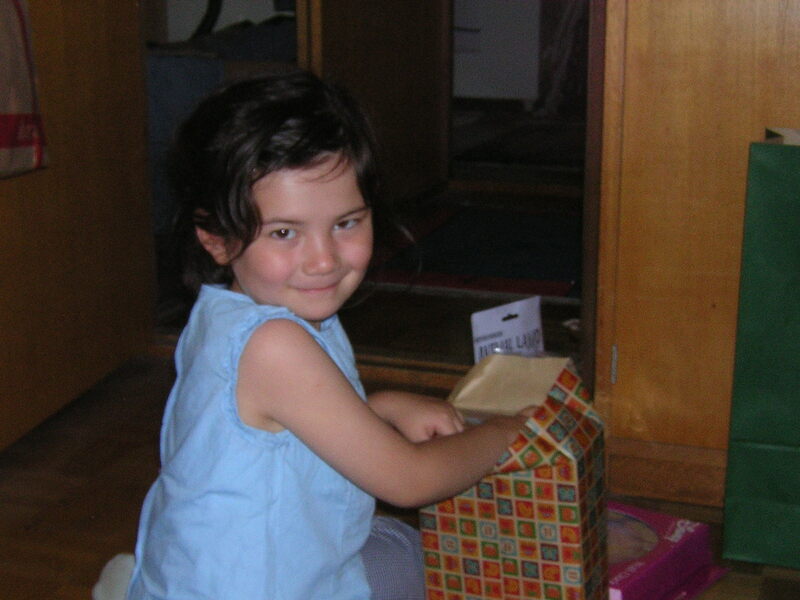 Happy 13th Birthday, Sweetheart! 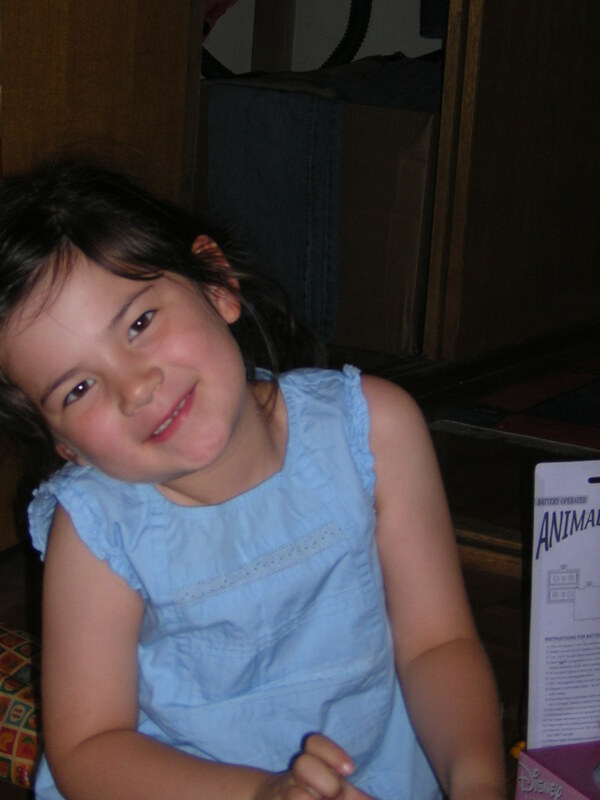 I can’t believe you are a teenager already. Tonight I was thinking about the evening you were born at Keio Hospital in Shinanomachi. And I’ll always remember that as the happiest day of my life. I wish I could be with you today and celebrate this special day with you. Just know that I would have been there if I could have. Someday you’ll understand why I wasn’t and how much I wanted to be. I love you with all my heart, bubby. P.S. Here are a couple of pictures of you from the last time I could spend a birthday with you — your 6th. 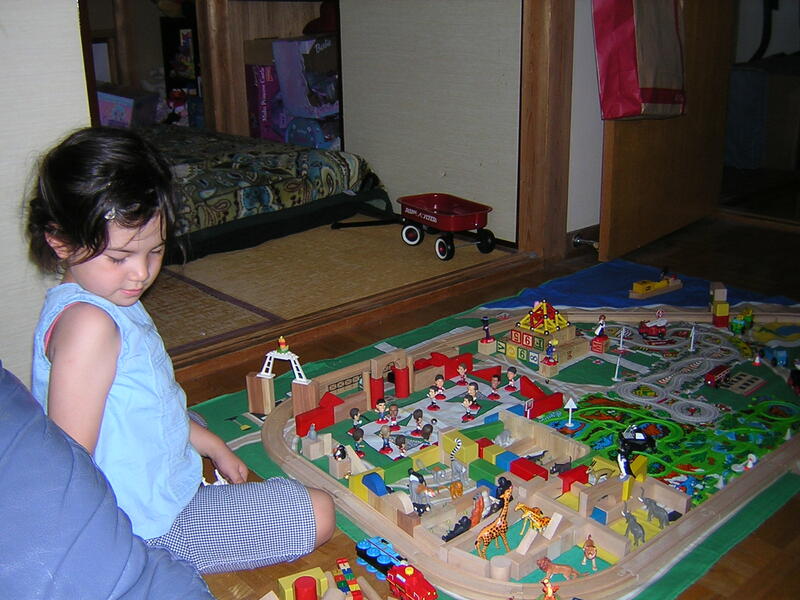 Do you remmeber the train world we used to make together and how much fun we had? There are so many things I want to tell you, and it’s so hard for me to decide where to begin. So I guess I’ll start from the beginning with our ancestors so you can know who you are and where you come from on your father’s side of the family. 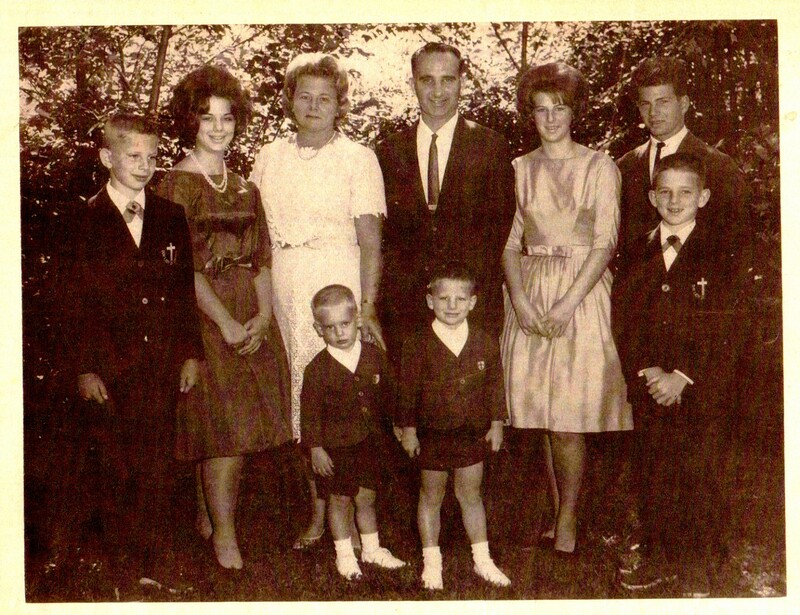 I’ll start with Poppie’s side of the family and tell you about Nonnie’s side in a separate post. 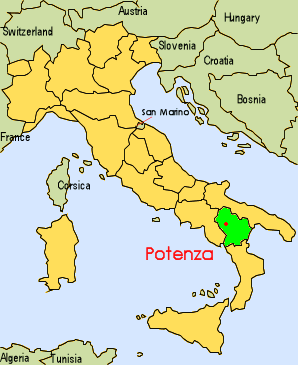 and San Fele in Potenza Province for his matrilineal line (i.e., the Galellas). 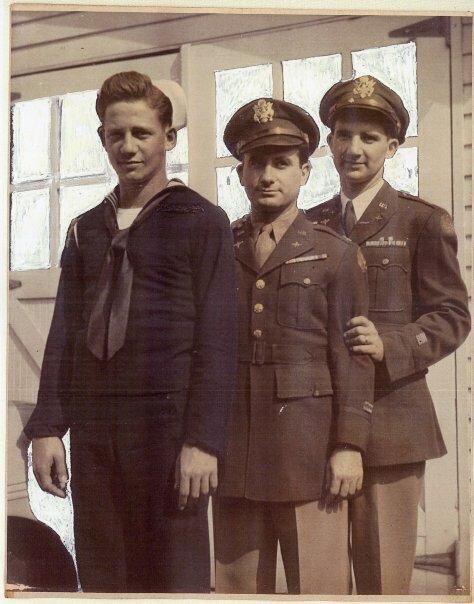 Several sources were used to put this information together, including interviews I had with Poppie, documents I obtained through him, and online genealogical sources I investigated on my own. I got a lot of help from a man named Edward Del Vecchio in South Carolina. He and I have the same great-great-grandparents (i.e., your great-great-great-grandparents — Felice Alessandro Del Vecchio and Maria Francesca Del Vecchio, nee Papa). That means my great-grandfather Abele Del Vecchio and his great-grandfather were brothers, which makes Edward my third cousin. 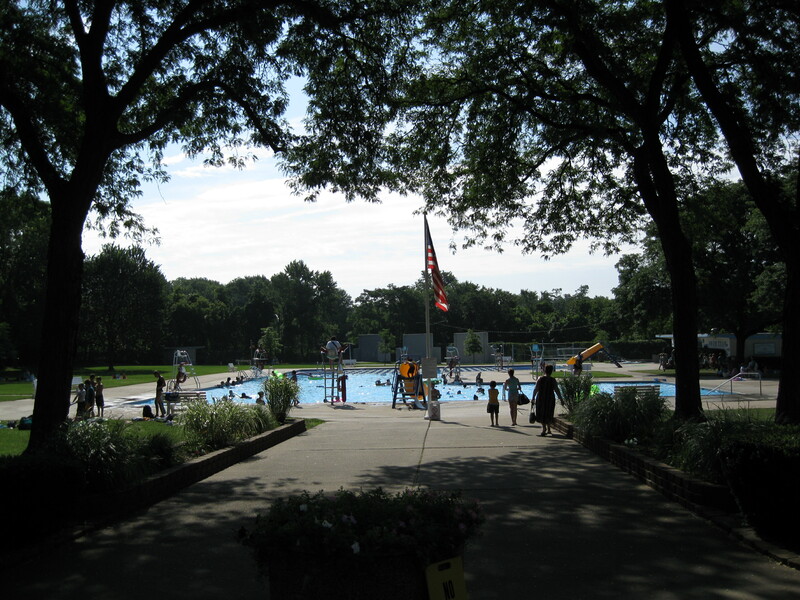 After arriving in America from “the old country” all of our ancestors on Poppie’s side settled first in Newark, New Jersey. 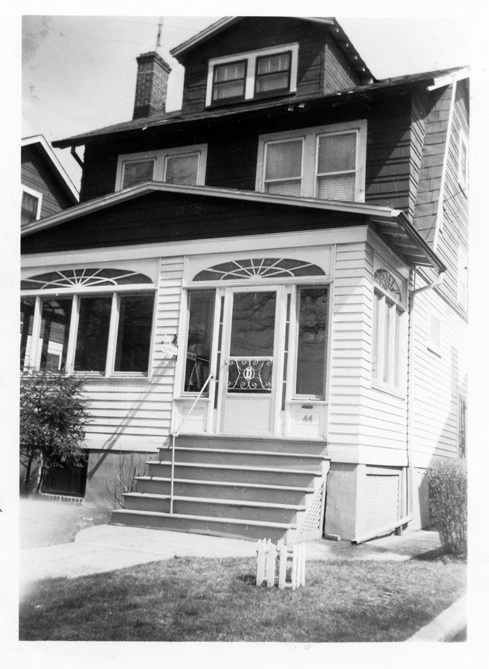 Newark was well-known in Italy as a place where many Italian immigrants chose to make their new home. Below is a picture of the Newark skyline in the early 1900s just after the Italian immigrants arrived in America. This is the city our ancestors would have known. Following is the genealogy of our family on your Paternal Grandfather’s (your father’s father’s) side that I was able to construct. I hope you enjoy learning about yourself. I will never forget the joy I felt being your Dad. May this bring you some joy when you read it. 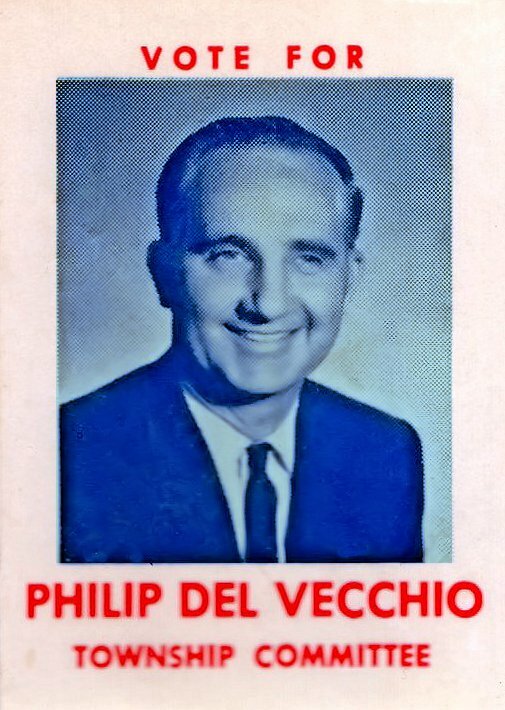 Philip Del Vecchio was born in Newark, New Jersey on May 22, 1921, the second of three sons of Valentine Del Vecchio and Livia Del Vecchio, nee Galella. Like others of his generation, he grew up during the Great Depression of the 1930s. However, his father’s secure job as a federal postal employee saw the family through the tough times. 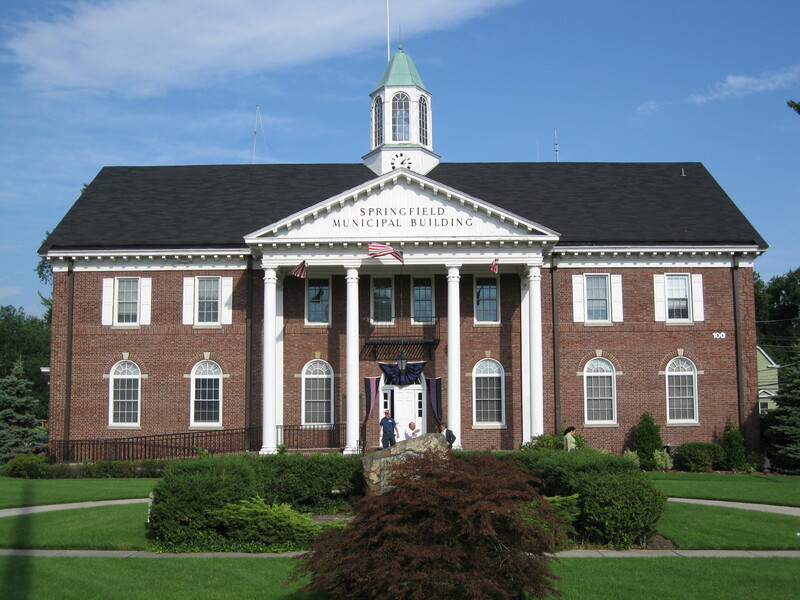 Philip attended The Newark College of Engineering (N.C.E.) 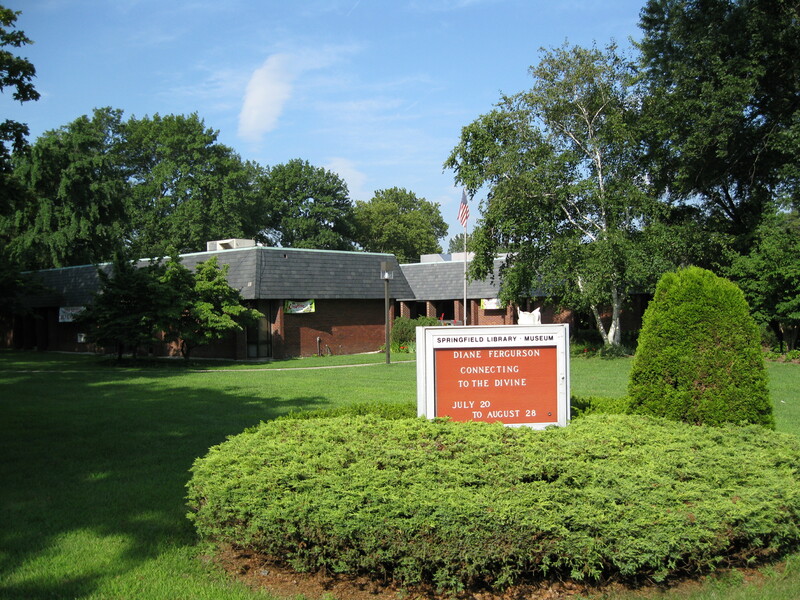 in Newark, now the New Jersey Institute of Technology (N.J.I.T.). He graduated in 1942 with a B.E. Degree in Civil Engineering. Because Philip was studying engineering in university, he was allowed to finish his education and get his degree before presenting himself for service. 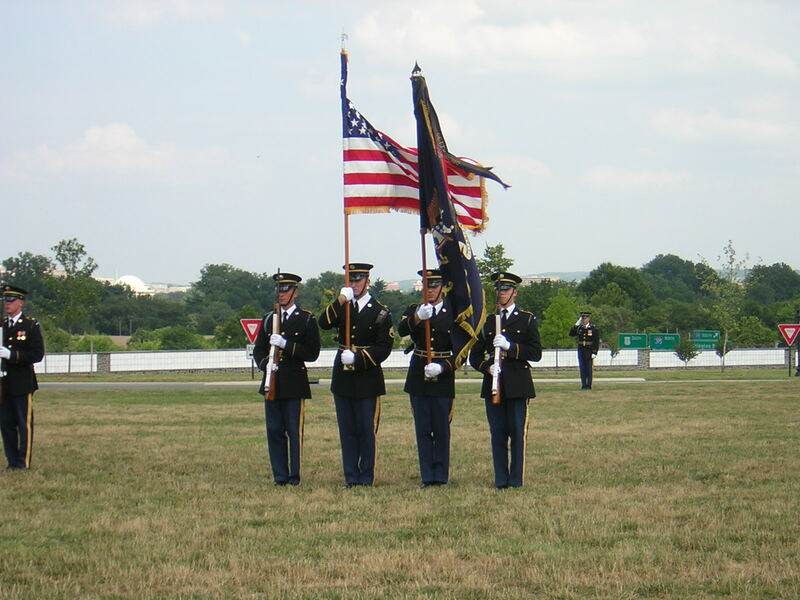 After finishing university he went through an officers training program and was commissioned a Second Lieutenant in the U.S. Army Air Corps. 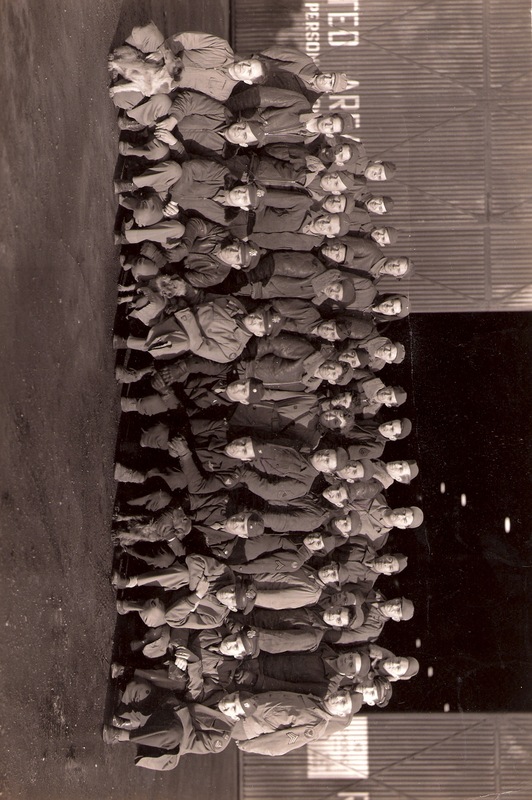 He was then stationed in England where he worked on aircraft design for the army in his capacity as an engineer. By the end of the war he had risen to the rank of Major. 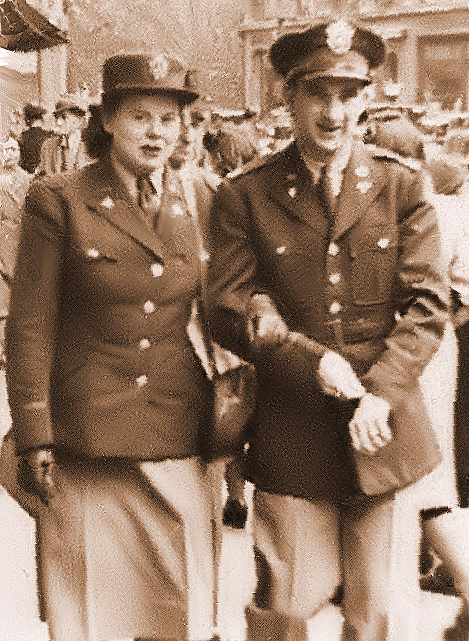 It was while he was in England that he met his future wife, Gertrude Marie Kotz (“Nonnie”), who was stationed there as well in the WACs (Women’s Army Corps). Poppie told me Nonnie reminded him of the famous actress Ingrid Bergman. 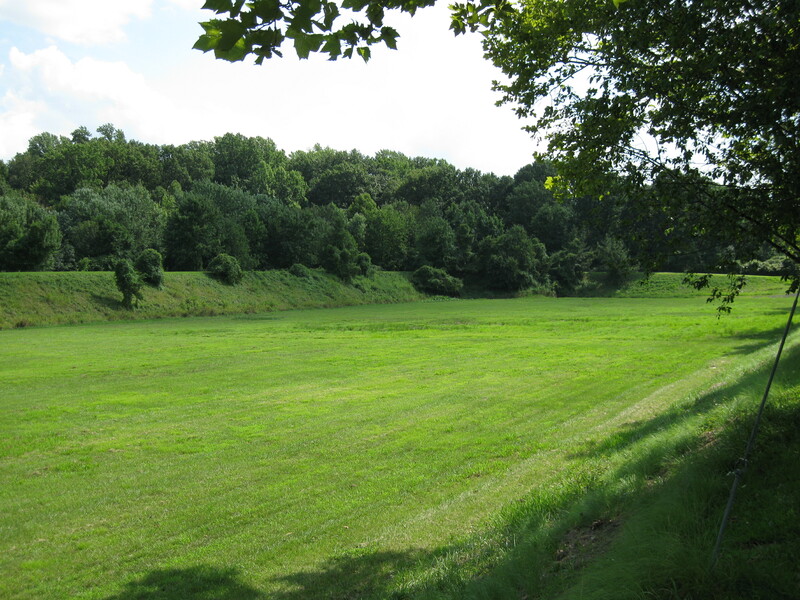 Philip and Gertrude Del Vecchio settled in Springfield, New Jersey. Philip and his wife’s uncle, “Uncle George,” an architect, designed the home the couple and their family would live in from 1957 to 1988, at 11 High Point Drive. 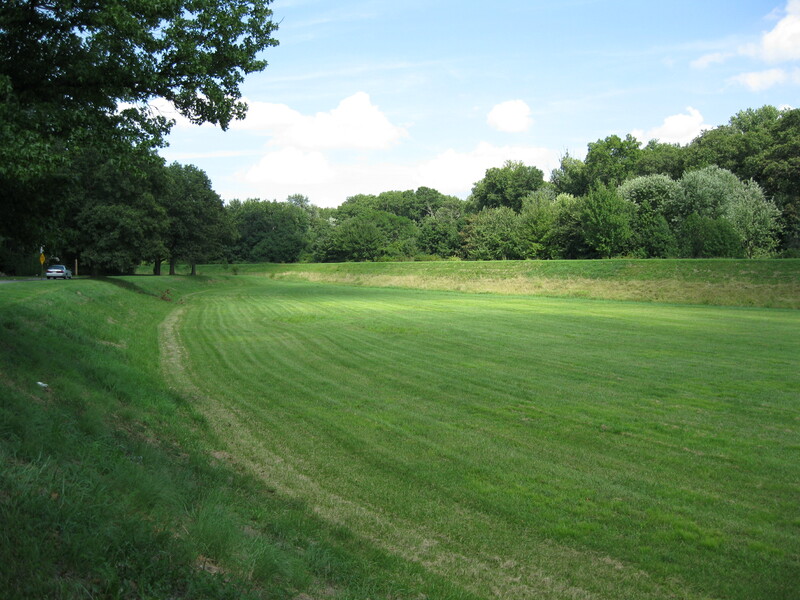 In addition, he was involved in the planning and design of the system of levees and flood catch basins along the Raritan River. 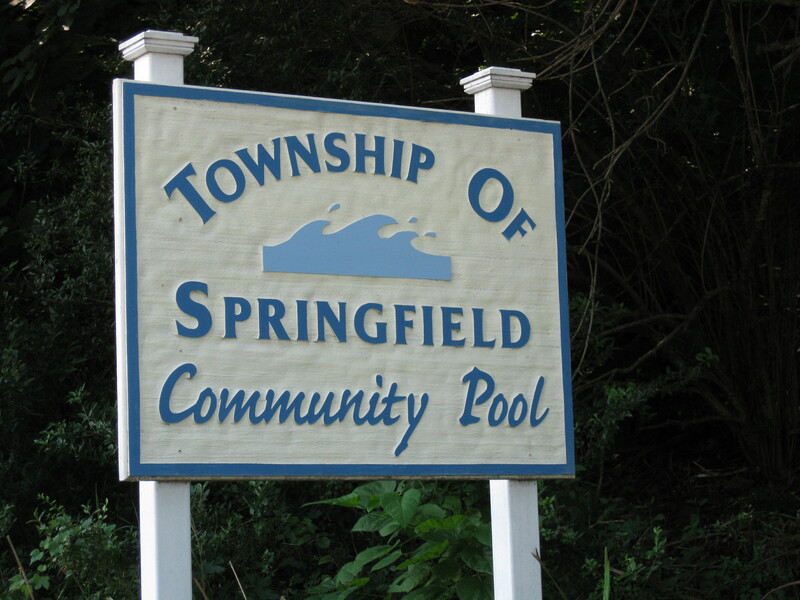 Springfield used to have terrible flooding whenever heavy rains caused the Raritan River to overflow, but after the completion of these projects the flooding problem was solved for good. 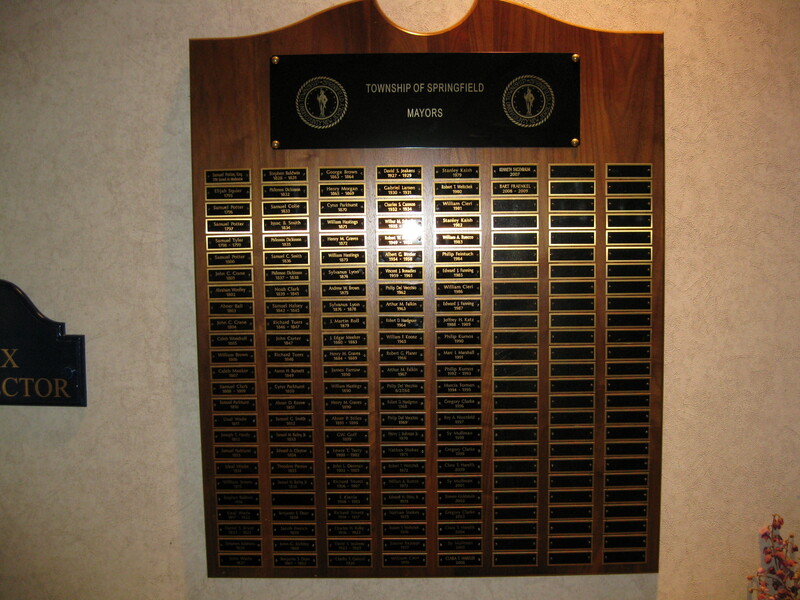 In addition to local politics, Poppie was involved in other religious and community organizations, such as the Knights of Columbus (a Roman Catholic Organization), the Rotary Club (a business organization), The Lion’s Club (a charitable organization which raised money for the blind), and the town’s AMICO (American Italian Cultural Organization) Club. After he retired from life in local politics Poppie continued to work as a civil engineer, but chose to start his own business, Philip Del Vecchio, P.E. (Professional Engineer). He and his first son, my brother Phil, Jr. (also an engineer), worked out of an office and drafting room which he had redesigned from our old basement and laundry room. My sister, Denise, worked for him as secretary and Nonnie also worked with him as bookkeeper. 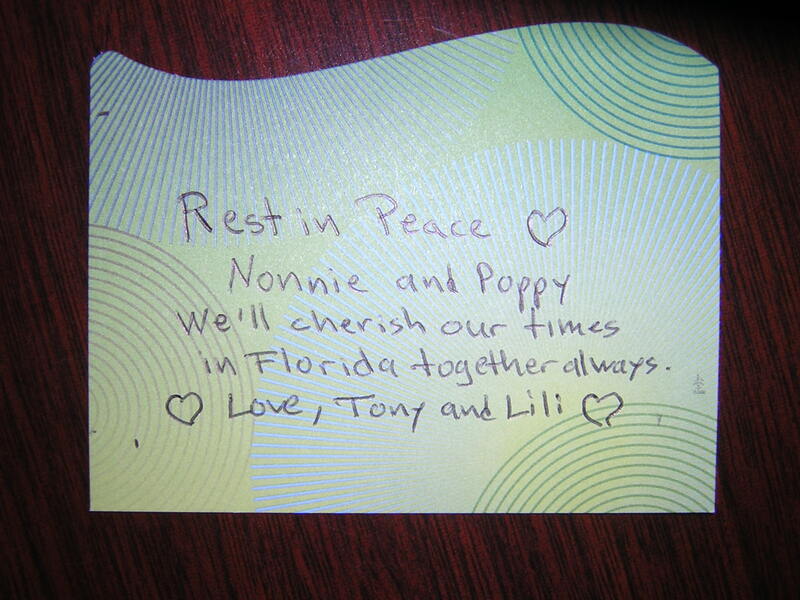 We visited Poppie and Nonnie several times in Florida, and I’m glad they got to know their wonderful granddaughter and that you could get to know them a little. You may not remember them too well in your head, but I know you do in your heart, and that’s the important part. Poppie passed away just shy of his 87th birthday on May 3, 2008, of natural causes in his home. A funeral service was held for him at the Galante Funeral Home in Newark, New Jersey, whereupon he was cremated as per his request. 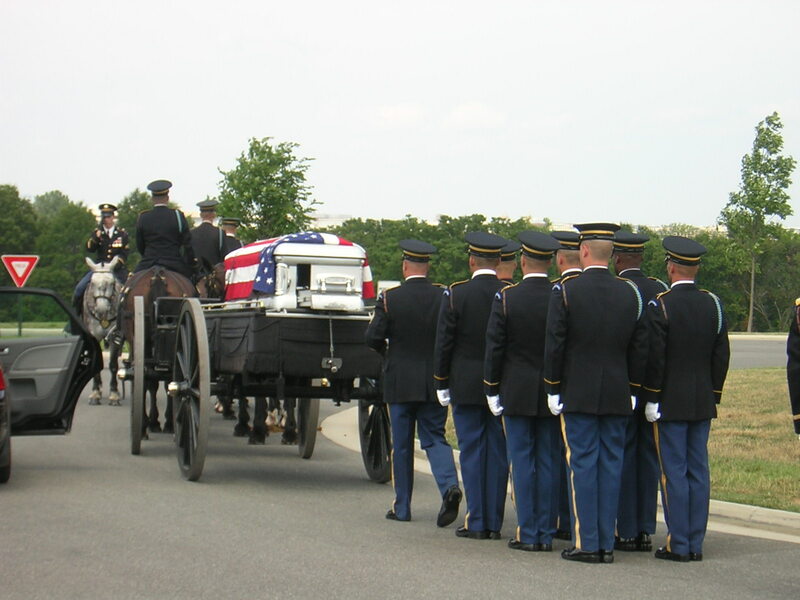 As a veteran of the U.S. military, he chose to exercise his right to be interred at the Arlington National Cemetery in Washington, D.C. 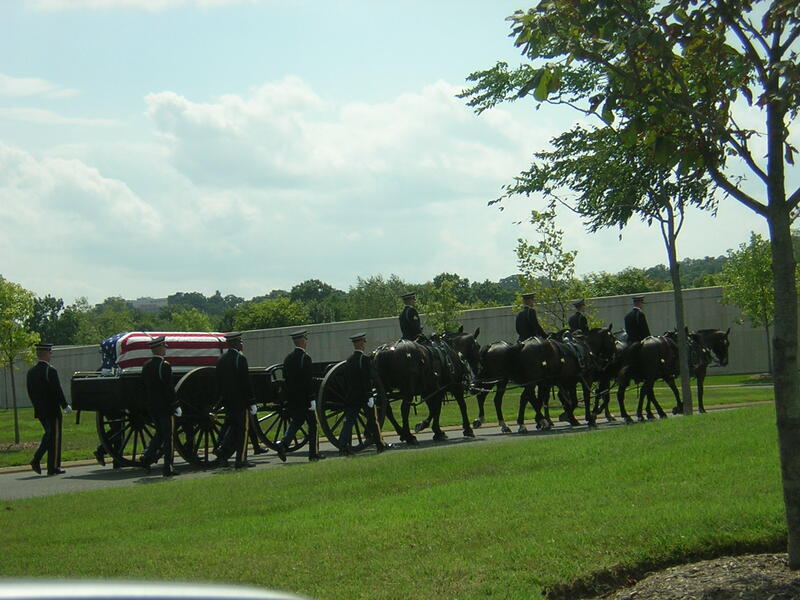 I attended the interment on August 5, 2009. 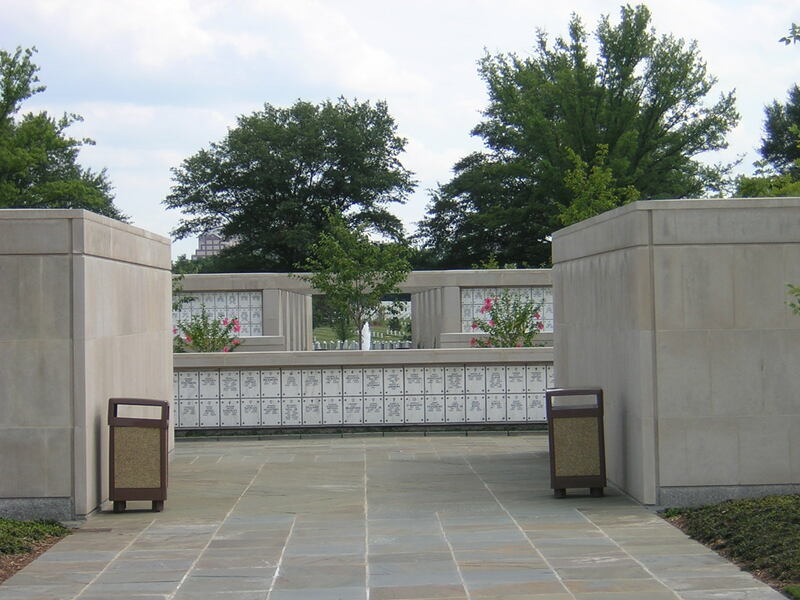 Both Poppie and Nonnie’s ashes were interred together in the same niche in the Columbarium there during the same ceremony and on the same day. Vaelntine Del Vecchio was Poppie’s father, and the son of Abele Del Vecchio and Pasqualina Del Vecchio, nee Colasanti. Livia Del Vecchio, nee Galella was Poppie’s mother and the daughter of Sebastiano Galella and Mariantonia Galella, nee Martino. Valentine Del Vecchio was born in Newark, New Jersey on April 12, 1892. 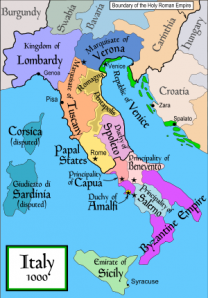 He had two sisters, Frances and Filomena (“Minnie”), and one half-brother, Henry Linfante (Pasqualina Del Vecchio’s son by a second marriage after Abele’s death). 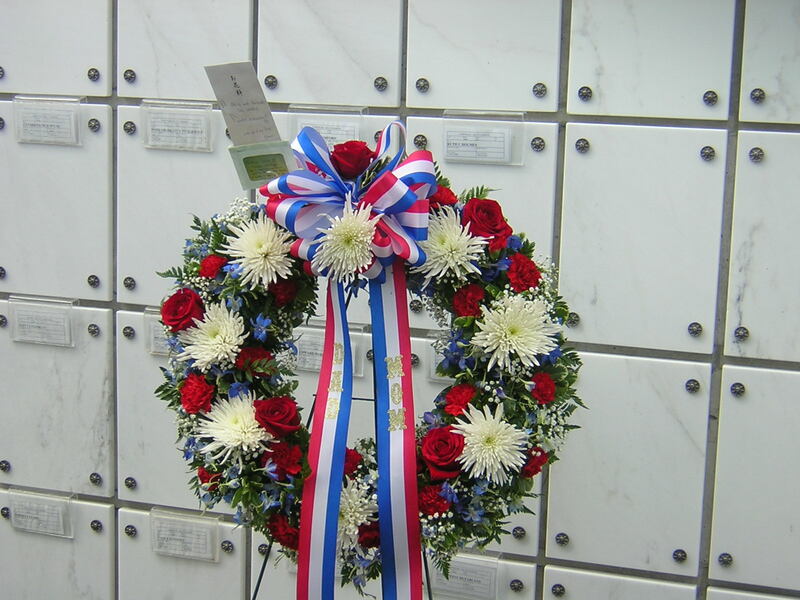 Valentine was a U.S. postal worker for 40 years. 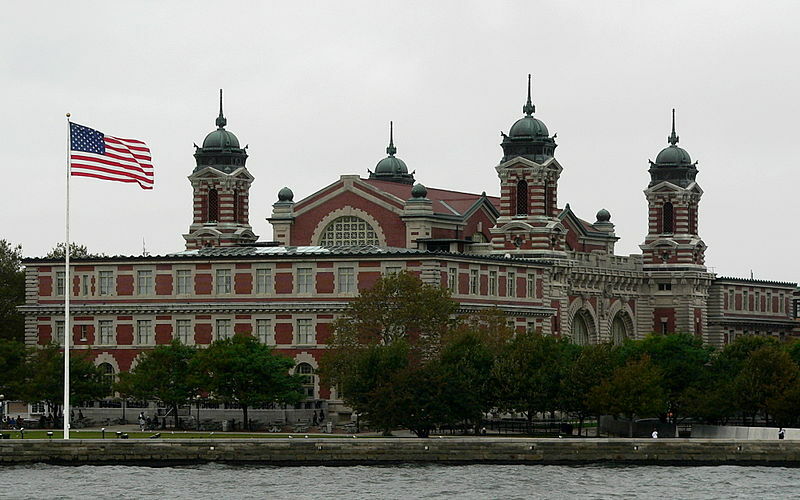 According to Poppie, on his free time helped newly-arrived Italian immigrants settle in the new country. 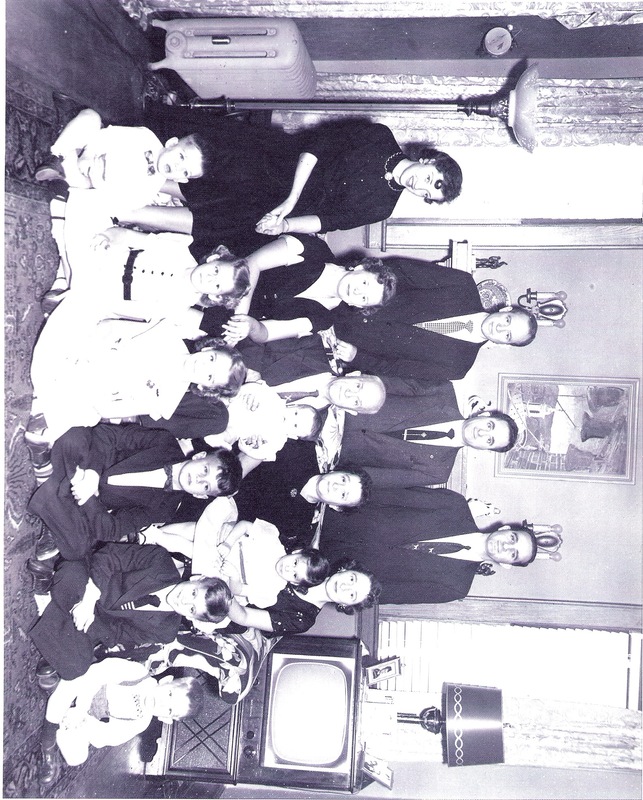 And here is a picture of the extended Valentine and Livia Del Vecchio family from 1956. 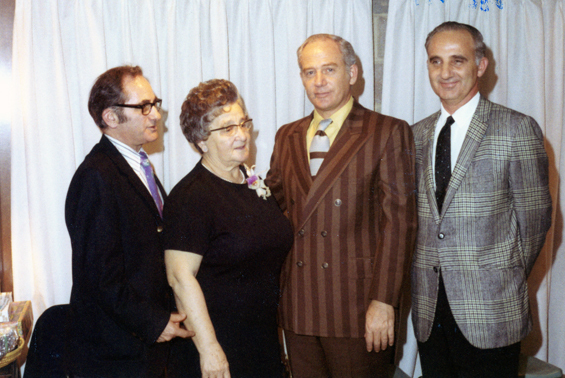 Standing in the back are Valentine and Livia’s sons, from left to right, Richard, Abel Valentine (“Val”), and Philip (Poppie). 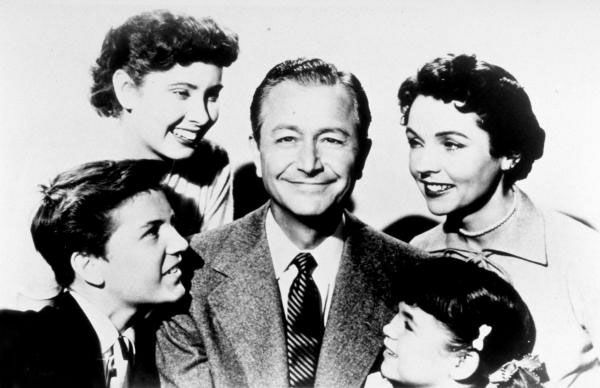 Seated in the middle, from left to right, are Betty (Richard’s wife), Gertrude (your Nonnie), Valentine (with Richard’s son Ricky on his knee), Livia, and Fran (Val’s wife with daughter Diana on her knee). Seated in front are Paul (Philip’s son, your uncle), Denise (Philip’s daughter, your aunt), Valerie (Philip’s daughter, your aunt), Val (My Uncle Val’s son whom we called “Vally Boy), and Peter (Philip’s son, your uncle). Valentine Del Vecchio passed away at home on March 5, 1960, at the age of 67. 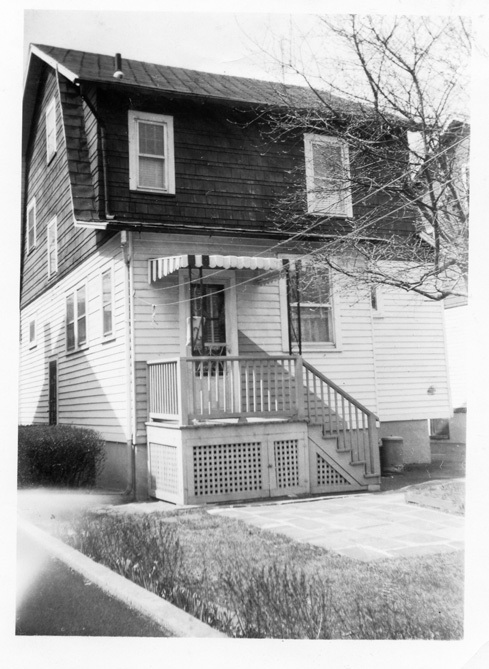 Even though I was so young, I actually have faint memories of him and his home at 44 Marsac Place in Newark, those being among my very first recollections in life. Livia “Lena” Galella was born in Newark, New Jersey on December 7, 1895. 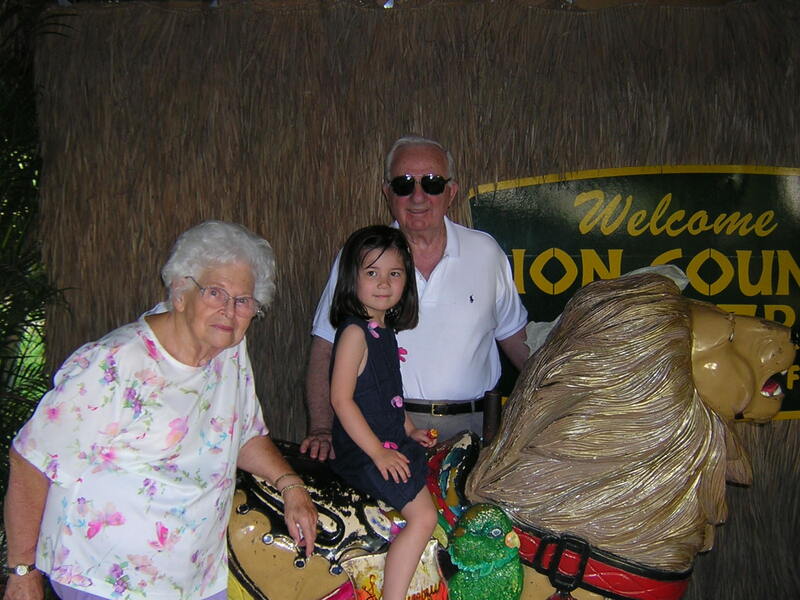 Grandma Del Vecchio, nicknamed “Lena,” was a kind and gentle woman whom I knew for the first 30 years of my life. 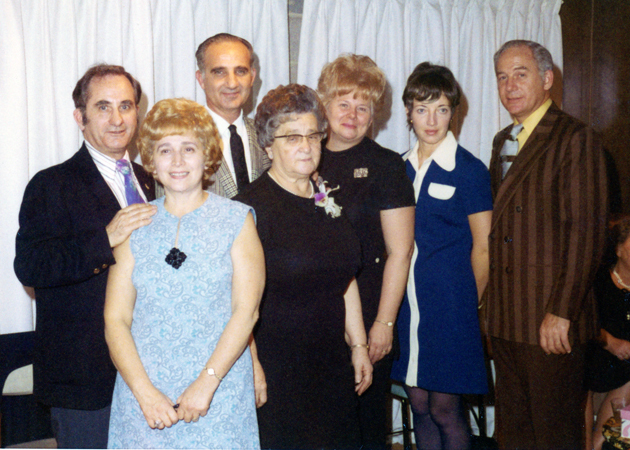 The whole family used to get together at Grandma’s house where she lived with her sister, my Great-Aunt Florence (“Aunt Flo”) and Florence’s husband, Carl Bagnano (“Uncle Carl”) on Christmas Eve and eat and eat and eat. 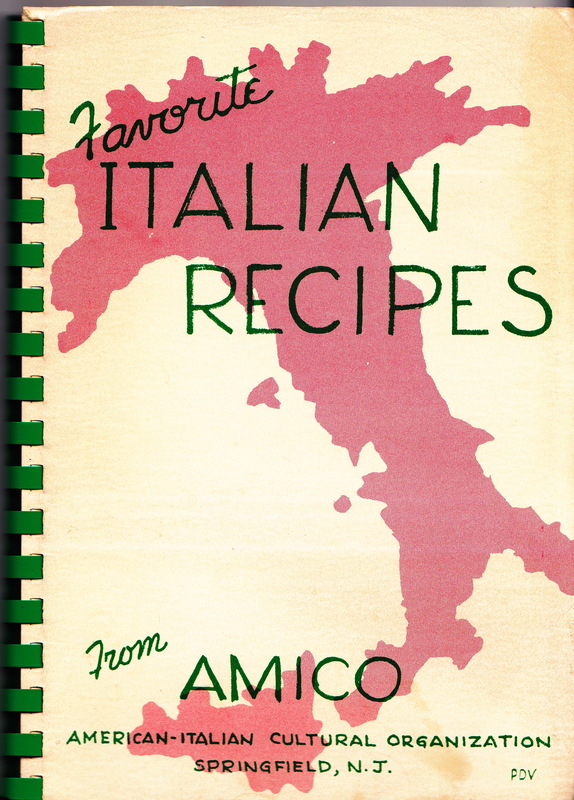 The two sisters were great authentic Italian cooks, and I miss those feasts more than anything! I also remember when I was in high school a couple of friends and I used to go there for lunch sometimes and she’d make us Italian-style peppers and eggs sandwiches. Grandma spoke the Italain of her parents as well as English. Sadly, Lena passed away on December 24, 1988 (Christmas Eve, the day I always associated with her), at the age of 91. Valentine Del Vecchio and Livia “Lena” (Galella) Del Vecchio are interred at the Gate of Heaven Cemetery in East Hanover, New Jersey. 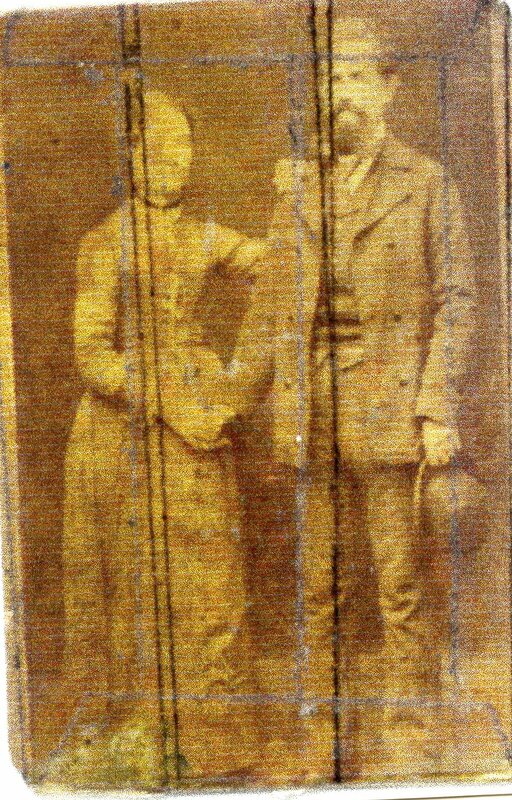 Abele and Pasqualina Del Vecchio were the parents of Valentine Del Vecchio. Abele was Poppie’s father’s father. Pasqualina was Poppie’s father’s mother. Abele Del Vecchio was born on Oct. 9. 1857 in Guardia Sanframondi, Benevento Province, in the Campania Region of Italy. He was a stone mason by trade who emigrated to America in the 1880s. Abele Del Vecchio was a middle child, having two brothers: older brother Filippo Pacifico, born May 19, 1855, and younger brother Carlo, born Nov. 4, 1859. 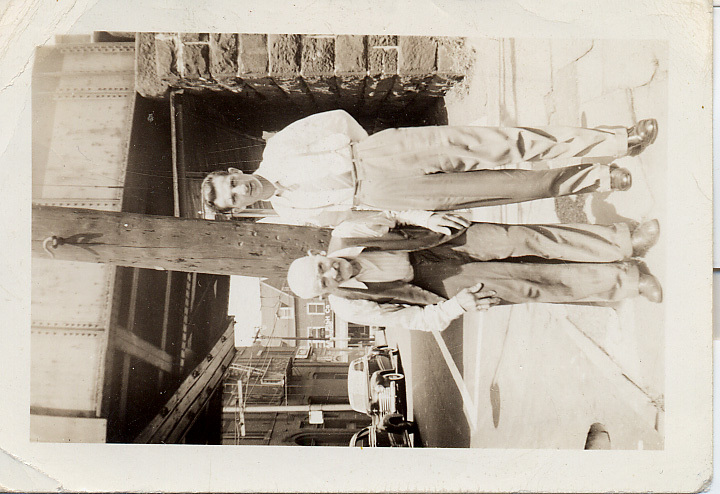 Abele passed away before Poppie was born in 1921 so Poppie never met him. 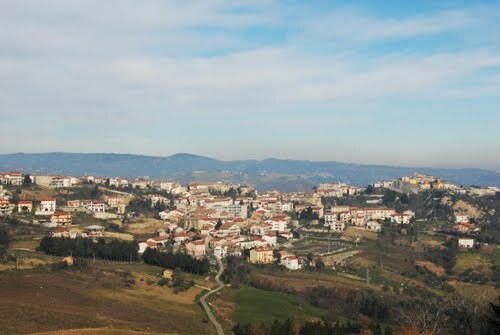 Pasqualina Colasanti was born in the town of Baselice, Benevento Province. Abele and Pasqualina had three children: Valentine, Frances, and Filomena (“Minnie”). After Abele passed away, Pasqualina remarried one Henry Linfante and had a child by the same name, so there is a half-sibling as well. Sebastiano and Mariantonia Galella were the parents of Livia Del Vecchio, nee Galella. Sebastiano was the son of Guiseppe Galella and Lucia Galella, nee Bengivengo, and was Poppie’s mother’s father. Mariantonia was the daughter of Vito Martino and Livia Martino, nee Lanza, and was Poppie’s mother’s mother. Sebastiano Gallela was born in the 1850s in San Fele, Potenza Province, in the Basilicata Region of Italy. Like many Italian immigrants, Sebastiano and his wife Mariantonia were forced to flee the poverty of the Mezzogiorno (Southern Italy). 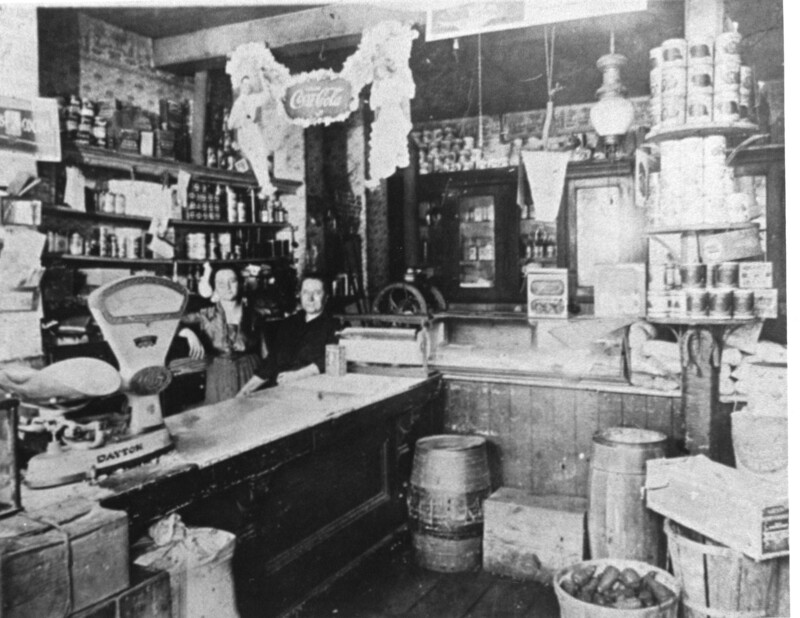 A collapse of the economy of the region saw a mass migration of Italian immigrants in the late 19th Century through the early 20th Century. 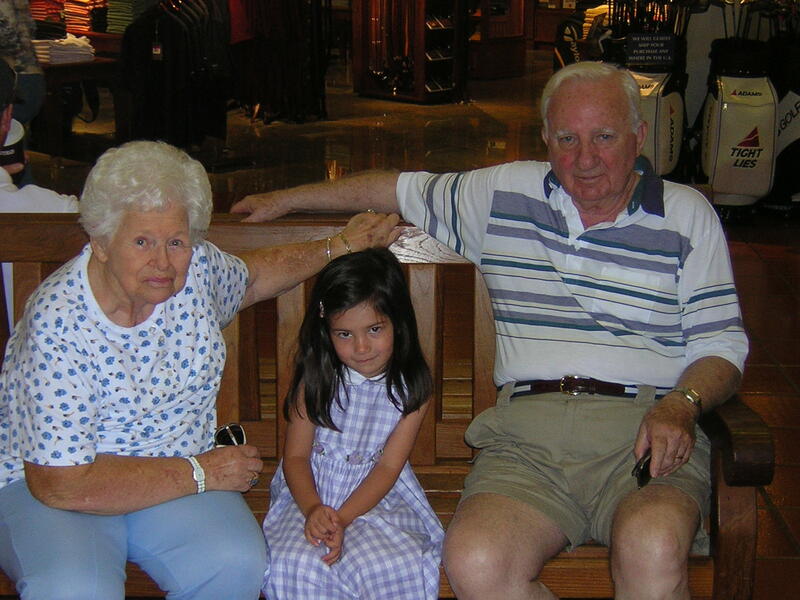 Sebastiano was said to be a very kind and gentle man whom Poppie loved dearly. 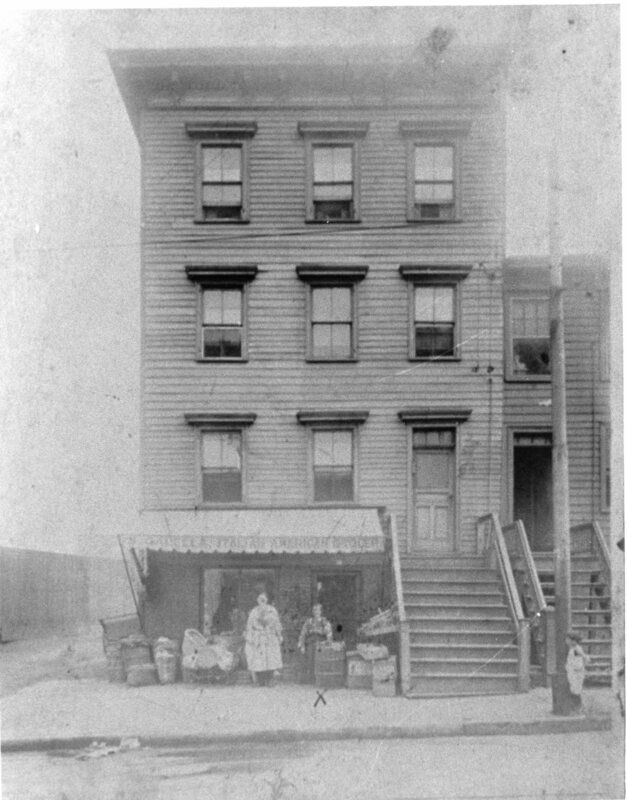 Together with his wife, your great-great-grandmother, Maria Antonia, they lived at 46 Ferry Street, Newark, N.J. and operated a family-run grocery store. The couple had seven children: Frances (“Frank”), Vito (“Duke”), Filemena (“Minnie”), Pasquale (“Pat”), Livia (“Lena”), Florence (“Flo”), and Mary [Mary died young and no one of my generation met her]. Mariantonia Martino was also born in San Fele on Jan. 23, 1860. 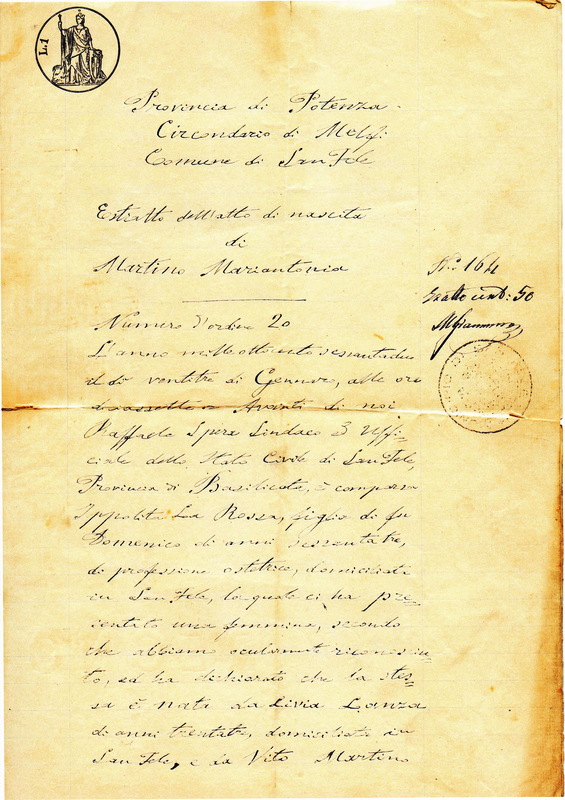 Below is a certified copy (in Italian) of her birth certificate issued in 1920 attesting to the details of her birth, parentage, etc. Below are some pictures I have of Sebastiano and Maria Antonia. The first is a picture of Sebastiano that I got from my cousin Diana. Sebastiano passed away in January 1944. I’m unsure when Maria Antonia passed away. Both Sebastiano Galella and Maria Antonia (Martino) Galella are interred at the Gate of Heaven Cemetery in East Hanover, New Jersey. Felice Del Vecchio was the son of Filippo Del Vecchio and Maria Dialena Del Vecchio, nee Colacchio and the father of Abele Del Vecchio, and was Poppie’s father’s father’s father. The names of Maria Francesca Del Vecchio, nee Papa’s parents are unknown; she was Poppie’s father’s father’s mother. Felice Alessandro Del Vecchio was born on Oct. 31, 1831 in Guardia Sanframondi, Benevento Province. Maria Francesca Papa was born on Nov. 3, 1830 in the town of San Lupo, Benevento Province. 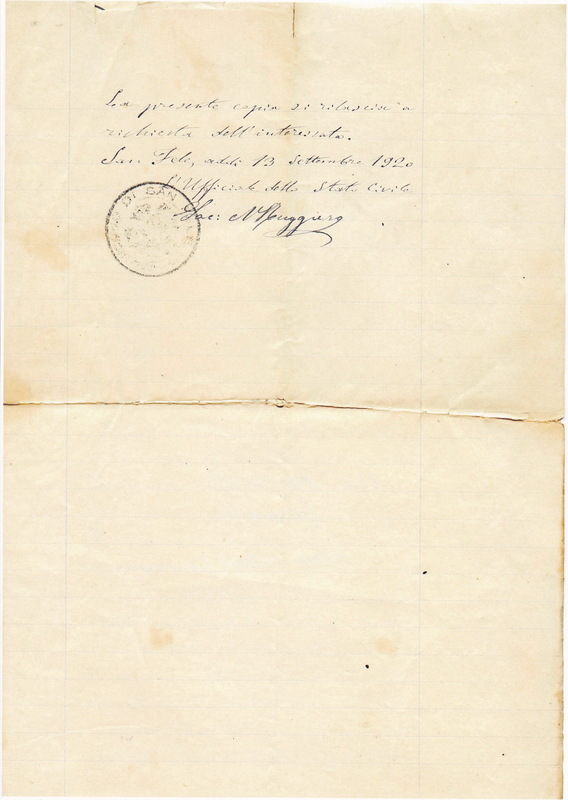 The couple were married in San Lupo on Feb. 2, 1853. 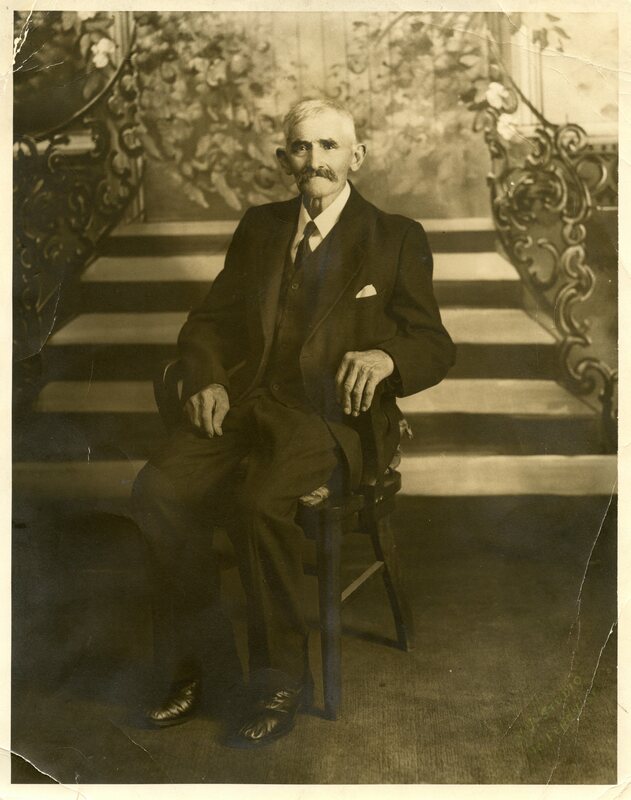 They had three sons: Filippo Pacifico Del Vecchio, born May 19, 1855; Abele Del Vecchio (your great-great-grandfather), born Oct 9, 1857; and Carlo Del Vecchio, born Nov. 4, 1859. Giuseppe and Lucia Galella were the parents of Sebastiano Galella. 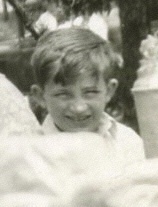 Guiseppe was Poppie’s mother’s father’s father. Lucia was Poppie’s mother’s father’s mother. 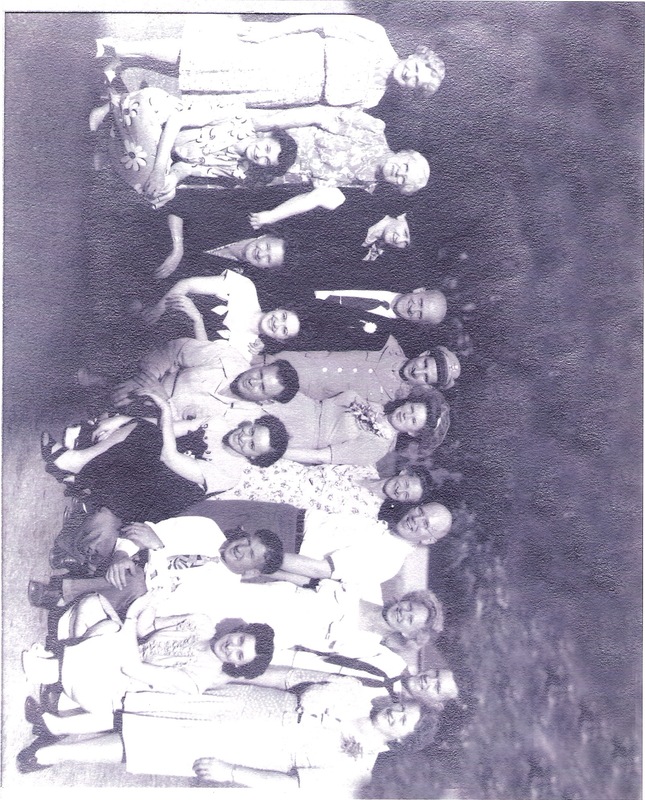 They are among the most remote ancestors that I know of on Poppie’s mother’s side. Little is known about these ancestors except for the following. 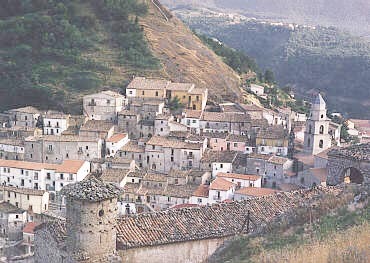 Both Guiseppe and Lucia lived in San Fele, Potenza Province. Poppie also told me that Giuseppe was a cheesemaker by trade. 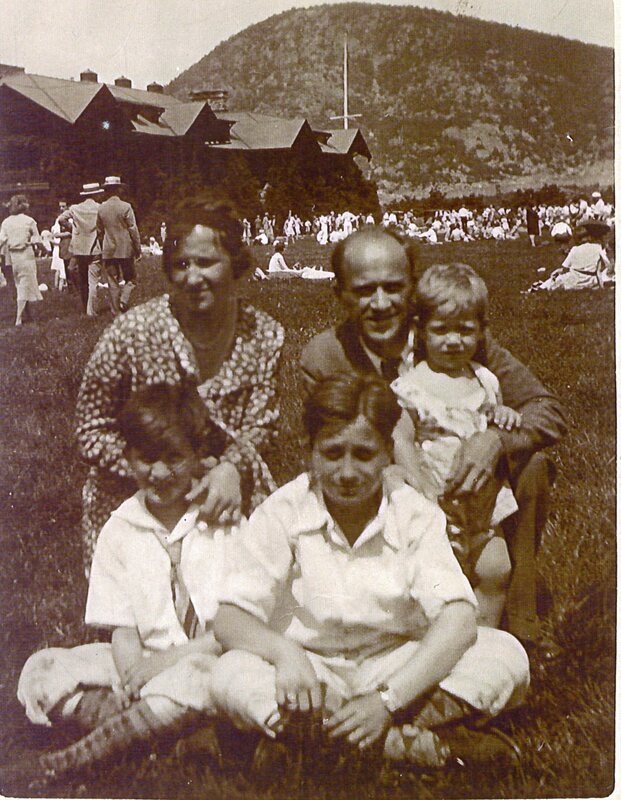 Giuseppe and Lucia’s son, Sebastiano (your great-great-grandfather), left San Fele and emigrated to America to start a new life. Vito and Livia Martino were the parents of Mariantonia Galella, nee Martino. 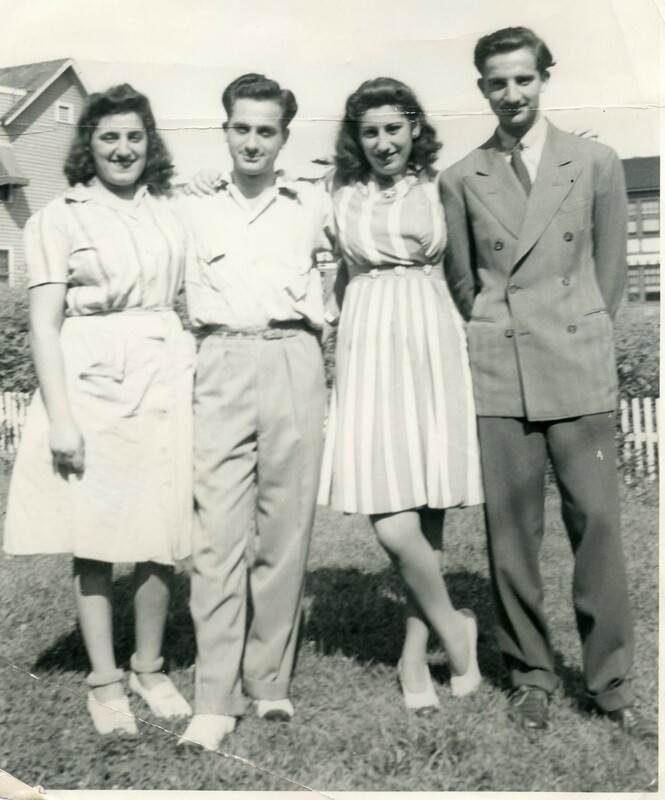 Vito was Poppie’s mother’s mother’s father. Livia was Poppie’s mother’s mother’s mother. These are the other most remote ancestors that I know of on Poppie’s mother’s side. I’m certain of the names which I obtained from Mariantonia’s birth certificate. re-issued in 1920 probably for immigration purposes. Nothing else is known about these ancestors except that they are from San Fele, Potenza Province. Filippo and Maria Dialena Del Vecchio were the parents of Felice Alessandro Del Vecchio. Filippo was Poppie’s father’s father’s father’s father. Maria was Poppie’s father’s father’s father’s mother. Filippo Del Vecchio was born on May 2, 1805 in Guardia Sanframondi. He passed away on Dec. 11, 1846. Maria Dialena Colacchio was born on Dec. 10, 1805 in Guardia Sanfarmondi. Date of death is unknown. 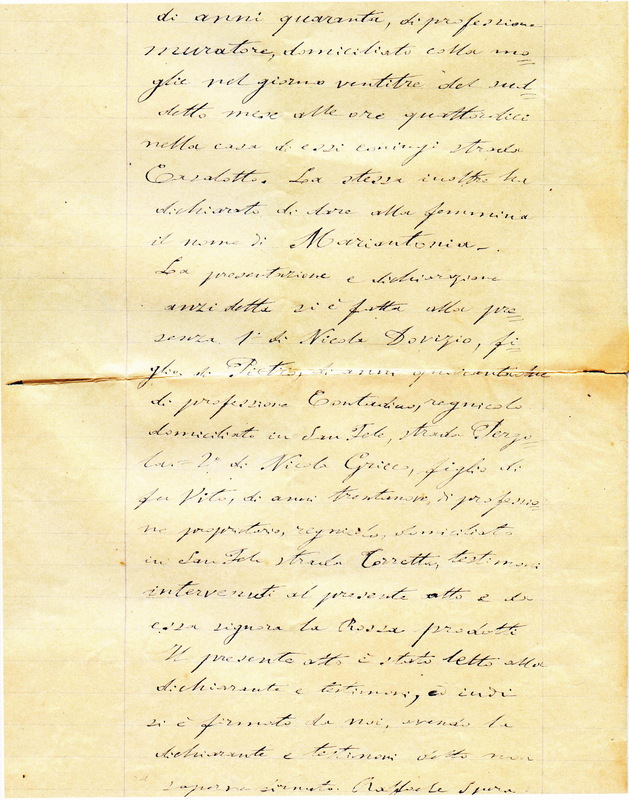 The couple were married on April 23, 1823 in Guardia Sanframondi. Luigi and Placida Del Vecchio were the parents of Filippo Del Vecchio. Filippo was Poppie’s father’s father’s father’s father’s father. Placida was Poppie’s father’s father’s father’s father’s mother. Luigi Del Vecchio was born in Guardia Sanframondi sometime in 1761. Luigi passed away on Jan. 13, 1848. 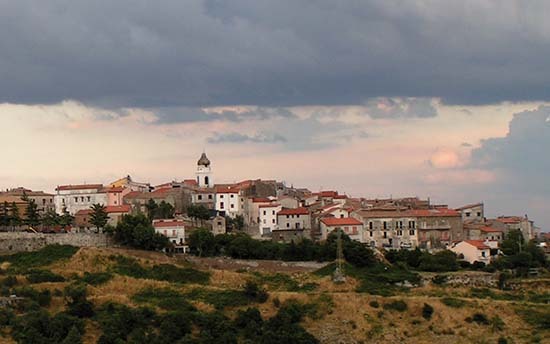 Placida Di Blasio was born in Guardia Sanframondi sometime in 1764. Placida passed away on Oct. 25, 1844 on Strada Ospedale at the home of her son-in-law, Nicole Filipelli (husband of her daughter Emilia, who would have been Filippo Del Vecchio’s sister). 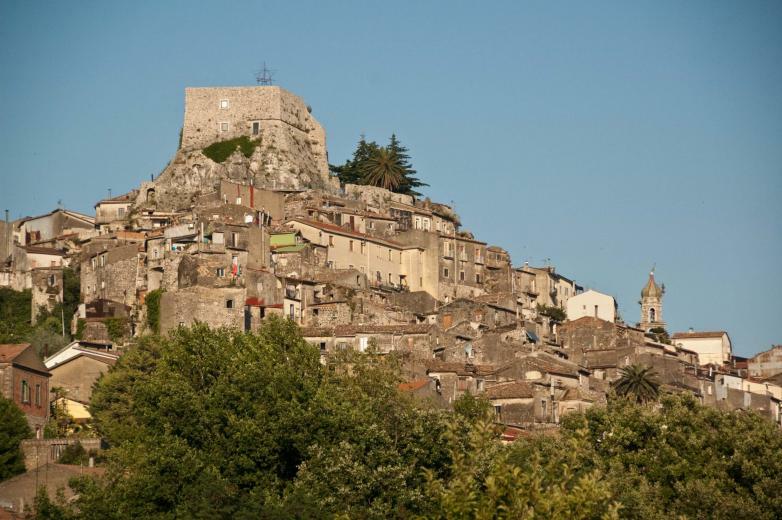 Nothing else is known about these ancestors except for the fact that they were both from Guardia Sanframondi, Benevento Province; that they got married there around 1800; and that they lived there on Strada Fontaniello. Vincenzo and Maria Caterina Colacchio were the parents of Maria Dialena Colacchio. Vincenzo was Poppie’s father’s father’s father’s mother’s father. 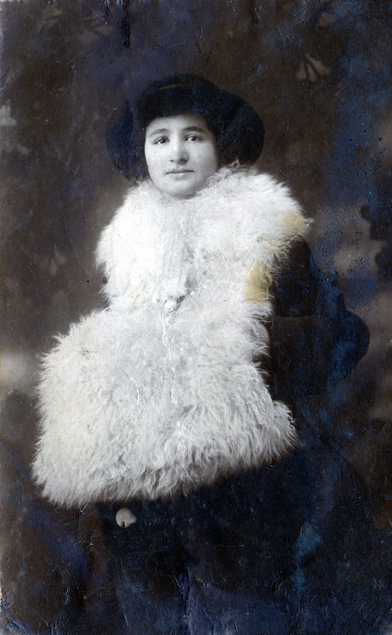 Maria Caterina was Poppie’s father’s father’s father’s mother’s mother. Vincenzo Colacchio’s birthplace, date of birth, and date of death are unknown. Maria Caterina Rossi was born in San Lupo circa 1776. She passed away in Guardia Sanframondi on Jan. 20, 1853. Nothing else is known about these ancestors. Libero Del Vecchio was the father of Luigi Del Vecchio, and Poppie’s father’s father’s father’s father’s father’ father. He is the most remote Del Vecchio I know of. I don’t know anything else about him except his name. Since his son Luigi was born in Guardia Sanframondi it can be assumed that Libero probably lived there around the year 1761, but it is unknown if he was born there or elsewhere. Giovanni was Placida Di Blasio’s father. He is Poppie’s father’s father’s father’s father’s mother’s father. Nothing else is known about him except his name. Since his daughter Placida was born in Guardia Sanframondi it can be assumed that Giovanni probably lived there around the year 1764, but it is unknown if he was born there or elsewhere. 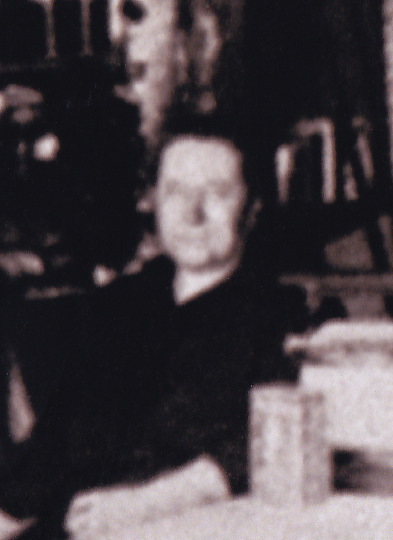 Giuseppe and Maria Isabella Rossi were the parents of Maria Caterina Rossi. Giuseppe was Poppie’s father’s father’s father’s mother’s mother’s father. Maria Isabella was Poppie’s father’s father’s father’s mother’s mother’s mother. Giuseppe Rossi was born in San Lupo circa 1757. He passed away on Nov. 14, 1823. Maria Isabella Bosco was born in San Lupo circa 1759. She passed away on March 22, 1838. Benedetto and Claudia Rossi were the parents of Giuseppe Rossi. 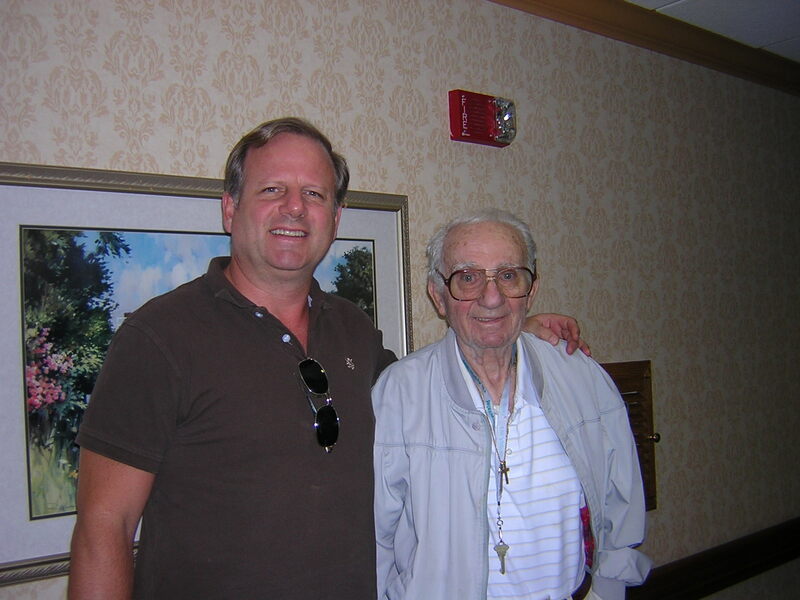 Benedetto was Poppie’s father’s father’s father’s mother’s mother’s father’s father. Claudia was Poppie’s father’s father’s father’s mother’s mother’s father’s mother. Benedetto Rossi was born in San Lupo circa 1722. He passed away on Dec. 6, 1803. Claudia Rettino was born in San Lupo circa 1723. She passed away on Dec. 15, 1813. Giuseppe and Laura Bosco were the parents of Maria Isabella Bosco. Giuseppe was Poppie’s father’s father’s father’s mother’s mother’s mother’s father. Laura was Poppie’s father’s father’s father’s mother’s mother’s mother’s mother. Giuseppe Bosco’s birthplace and date of birth are unknown. All that is known about him is that he passed away sometime prior to 1809. Laura Sbrenna was born in San Lupo circa 1732. She passed away in San Lupo on Dec. 15, 1813. 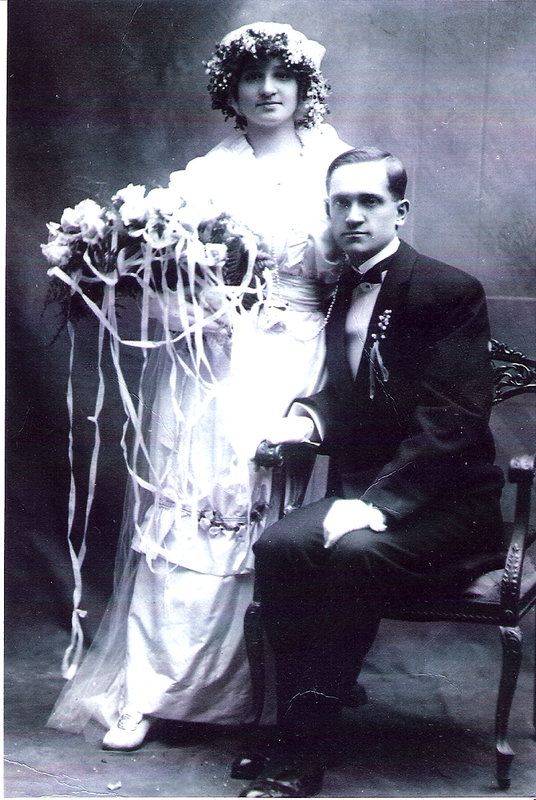 Libero and Cecilia Rossi were the parents of Benedetto Rossi. Libero was Poppie’s father’s father’s father’s mother’s mother’s father’s father’s father. Cecilia was Poppie’s father’s father’s father’s mother’s mother’s father’s father’s mother. Libero Rossi was born in San Lupo circa 1690. Date of death is unknown. Cecilia Campo was born in San Lupo. Date of birth and date of death are unknown. Domenico and Donata Rettiono were the parents of Claudia Rettino. Domenico was Poppie’s father’s father’s father’s mother’s mother’s father’s mother’s father. Donata was Poppie’s father’s father’s father’s mother’s mother’s father’s mother’s mother. Domenico Rettino was born in San Lupo. Date of birth and date of death are unknown. Donata Vaccarella was born in San Lupo. Date of birth and date of death are unknown. Domenico and Vittoria Bosco were the parents of Giuseppe Bosco. Domenico was Poppie’s father’s father’s father’s mother’s mother’s mother’s father’s father. Vittoria was Poppie’s father’s father’s father’s mother’s mother’s mother’s father’s mother. Domenico Bosco was born in San Lupo. Date of birth and date of death are unknown. Vittoria Fatto was born in San Lupo. Date of birth and date of death are unknown. Antonio and Isabella Sbrenna were the parents of Laura Sbrenna. Antonio was Poppie’s father’s father’s father’s mother’s mother’s mother’s mother’s father. Isabella was Poppie’s father’s father’s father’s mother’s mother’s mother’s mother’s mother. Antonio Sbrenna was born in San Lupo. Date of birth and date of death are unknown. Isabella Saccone was born in San Lupo. Date of birth and date of death are unknown. I like to go camping whenever I can. It’s one of my favorite pastimes. 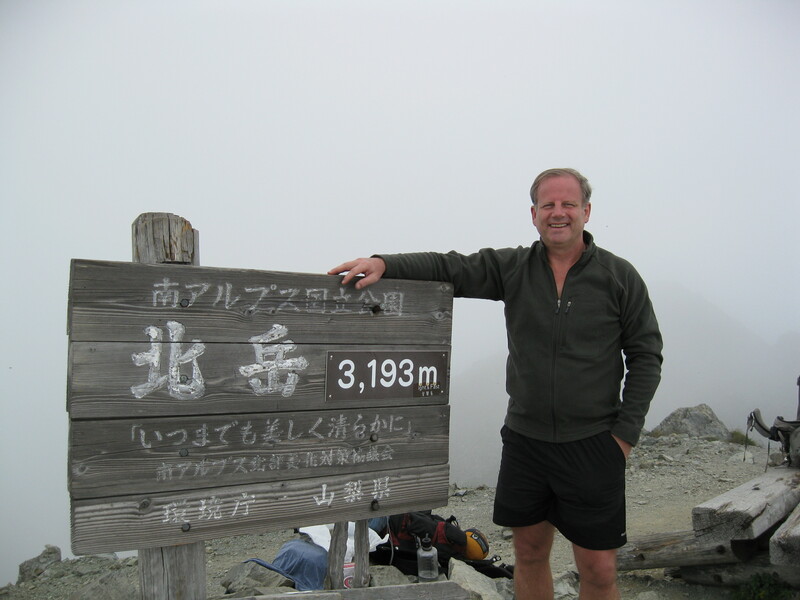 Here’s a picture of me on top of Kita-dake, the second highest mountain in Japan at 3.193 meters. I went there last August as part of a six-day trip in the Minami Alps. It was really beautiful. 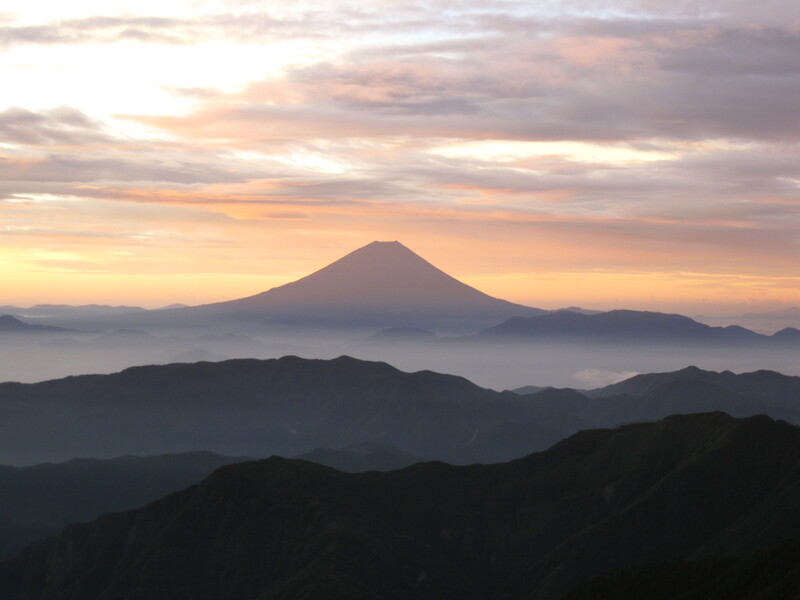 This is a picture I took of Mount Fuji early in the morning near the Kita-dake Sanso where I camped out overnight. I love this shot. The light was just right. I hope to take you camping someday still if you ever want to go. I know lots of cool places and I’m sure you would enjoy it. Tanoshii yo! I think about you every day, bubby. I hope you’re well and happy and that I can see you again soon. Happy Father’s Day. And to the disenfranchised, just try to remember that their fictions and machinations can NEVER take away the fact of our parenthood. Father really does know best in this instance. Stay strong on this, our saddest day of the year. 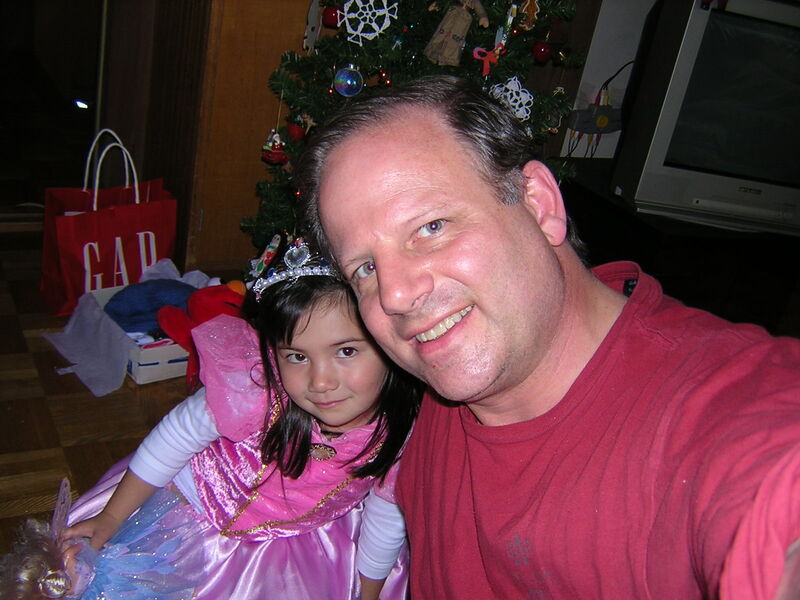 This site is dedicated to you, my daughter, Liliana Del Vecchio, who I haven’t seen for almost seven years. I hope that someday you will seek me out and learn the truth of who your father is, how much he loves you, and how hard he has tried to be a part of your life. Today is Father’s Day, and for me it is the saddest day of the year. It is sad because I am longer able to spend it with my only child, and also because a little girl cannot spend it with the Daddy she once loved so much.